Any of you who follow me on Instagram or Twitter will know that i've just come back from a weeks break in Dubai with my friend. I had such a lovely time, and it was so relaxing. I stayed with my Uncle and Aunty on Palm Island. It was so lovely of them to let me and my friend stay. I took some photos of my outfits each evening as during the days i was just in my swimming costume and i don't think you'd want to see that plastered all over my blog! If you ever get the opportunity to go to Dubai, go! It's such an amazing place! There are so many interesting things to do. On the first night we just stayed at the house and relaxed, On the second night we went to one of the souks where there are restaurants and we went and ate at an arabic restaurant. The food was delicious! On the third night we went on the jeep safari, where you go in a jeep and they drive like maniacs over sand dunes. It is so much fun, even though it may not sound like it. This was my third or fourth time going on the jeep safari and i'd go again. After the ride they take you to a little camp in the desert where you have a traditional arabic buffet, and can purchase gifts and shisha. 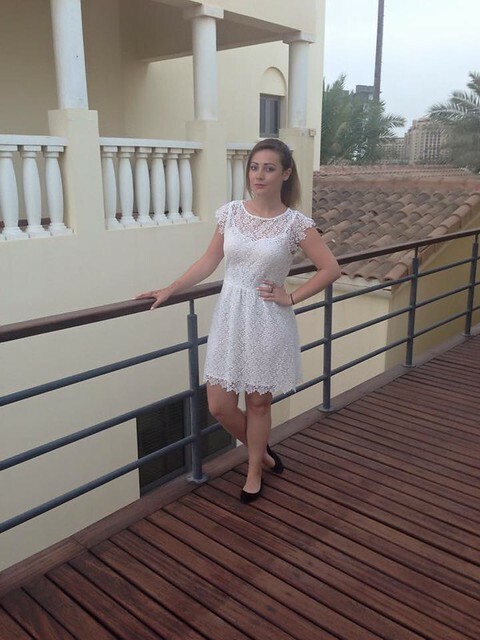 As well as having the chance to wear traditional arabic dress. I also got some henna too! 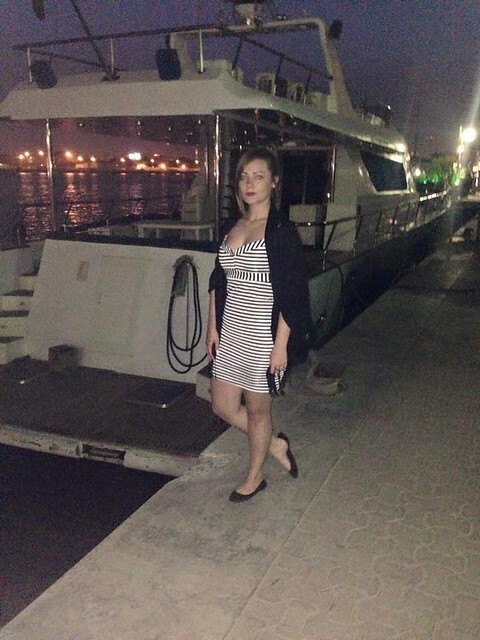 On the fourth night we went on the bateaux dubai, which is a dinner cruise on the Dubai Creek. We were in a beautiful, long boat and went up and down the creek for two and a half hours. The food was incredible, and for the experience it was quite pricey. I would definitely recommend doing this and the jeep safari. On the fifth night we went for dinner with my aunty and uncles friends, and the food there was great too. People in Dubai sure know how to cook!! On the sixth night we went and watched the Fountain Show which is situated between the Dubai Mall and the Burj Khalifa (the tallest building in the world). I've been to the top of that before and my friend didn't really want to so we didnt go to the top of it. The fountain show is absolutely incredible! the water and lights dance to whatever music is playing. The music ranges from Classical to Arabic to well known songs such as I will always love you by Whitney Houston. We ate at a Thai restaurant that night called the Mango Tree, which completely over looked the whole fountain show. Go if you get the chance. On the last night we just ate with my Aunty and Uncle, which was a nice chilled evening before a long day of travelling the next day. 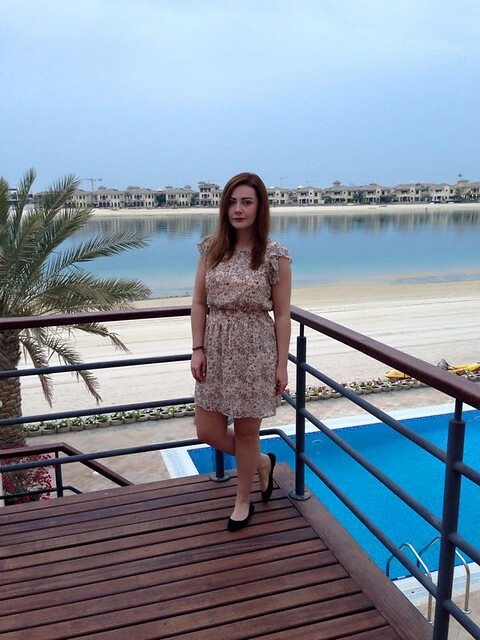 Dubai is absolutely beautiful, and i can't urge people to go enough if you get the chance. Yes, everywhere is quite pricey, but it is worth the money for the experience. I'm lucky to have family that live over there, so i've been quite a few times but you should definitely go atleast once in your lifetime. 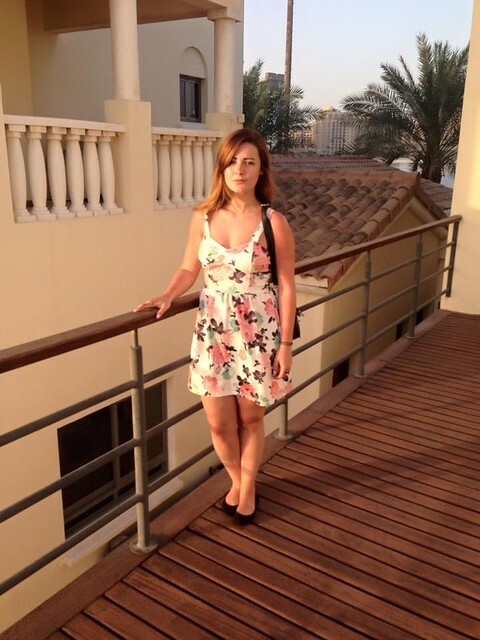 So, enough of my babbling, here is my Dubai Lookbook!